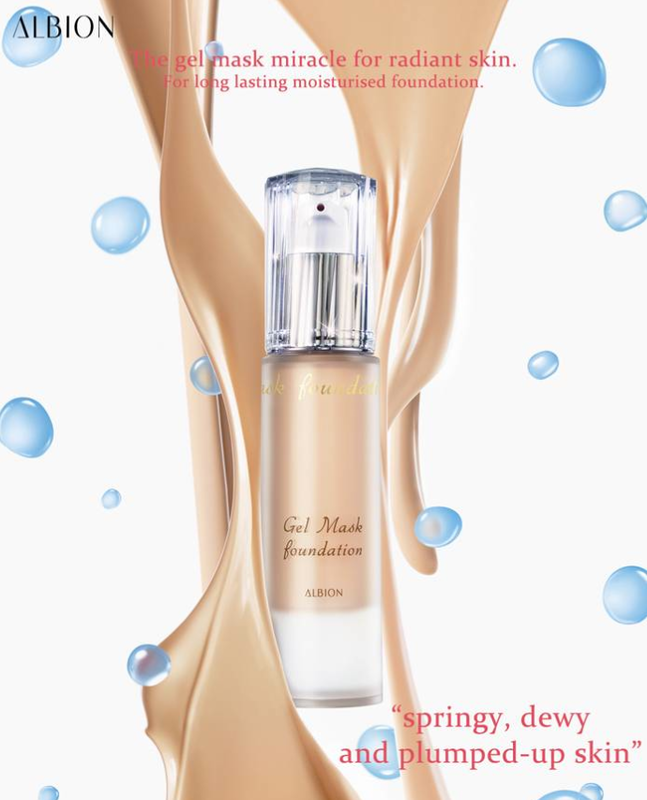 This Gel Mask Foundation from Albion forms a translucent makeup coat that is thick and springy like a gel mask and packed with generous moisture. The "Gel Mask Veil" leaves skin soft and brimming with springy elasticity and deep clarity. The texture of this gel mask foundation is fresh and hydrating with no hint of presence of powder, creating a pleasant sensation as if skin were enveloped in a mask of moisture. Clings snugly to the skin for a moist, beautiful finish with long lasting effect. SPF25 PA++ helps to protects skin from harmful UV rays. Total of 5 shades and retail price at $92 available from September 2014 at Takashimaya Albion counter.